Swegle is a kindergarten through fifth-grade school with an enrollment that averages around 530 students. We offer a comprehensive kindergarten through grade 5 academic experience that includes enrichment opportunities such as Band, Orchestra, and Choir for students in grades 4 and 5, Outdoor School for grade 5 students, and several field trips and assemblies. Our transitional bilingual program serves approximately 1/3 of the student body. 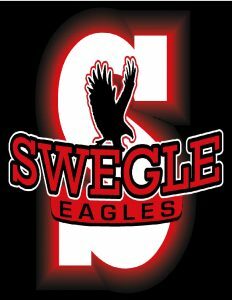 Swegle School District was established in January 11, 1872. Earliest records show that Swegle School was built around 1900. George Swegle donated the land for the school in Garden Road area east of Salem. It was fromerly part of District #3. It became District #78 when school boundaries were changed. 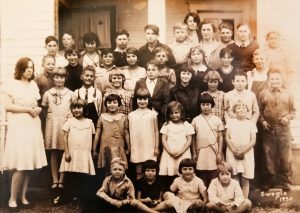 In 1903 the one-room school had nine students and one teacher. J.T. Oxbey was the teacher and J.L. Gelatt and George Swegle were directors. In 1923-24 a new plant was built and the old building was moved north of the new building. It was later removed from the property. 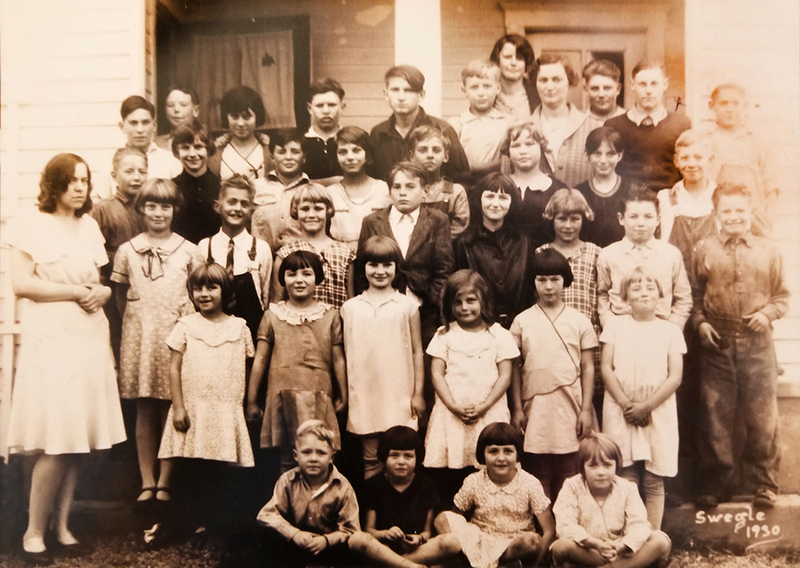 Swegle ​School was a one-room school until 1930-33 (dates are indefinite) when it became a two-room school. 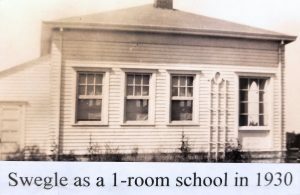 In 1937 it was a two-room school with a small building across the street becoming a third room. 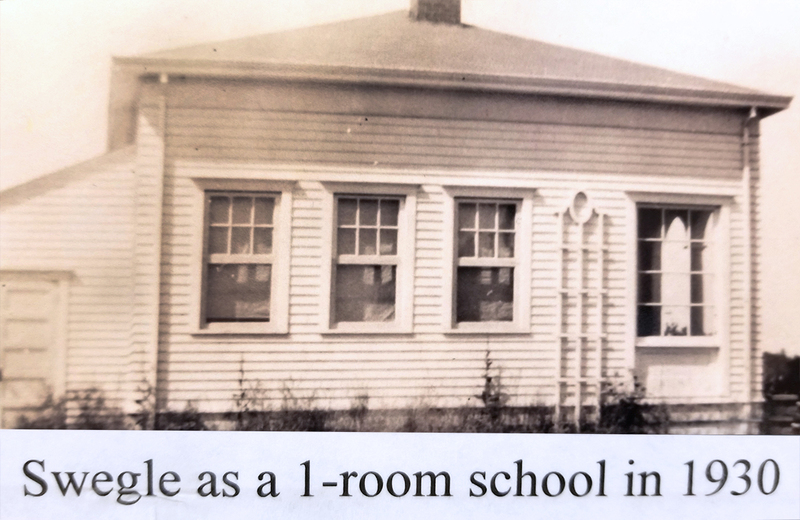 This was in use until 1938 when two more rooms were added and it became a four-room school with a multi-purpose room. There were four teachers and one custodian employed. On March 11, 1974 it was agreed by the voters of District #78 to consolidate with the Salem Public School system, District #24J. The school census at the time, inclusive of children 4-19 years of age, was 189. Six additions have been added since 1938 four classrooms in 1950; two classrooms in 1961; two classrooms, a library, additional rest rooms, team and work rooms, and remodeled office and storage facilities in 1968; an additional building in 1969 containing one large accoustically floored classroom suitable for two cooperative classes plus additional work and custodial space; and a complete kitchen remodeling and addition in 1920. An addition was completed in the fall of 1978 with the opening of six flexible space classrooms and a gymnasium complex, and a renovated and enlarged playground.